Below are the performances & events reported to the composer/publisher. There may be others. from the album "New Lullaby"
| Saturday, January 22, 2011 (8:00 p.m.) | 60x60 (2010 / International Mix) - a Vox Novus production. Includes: Six Wings North (by Lynn Job) (No. 24/60) (Isaiah 6:6-7) = 1 of 60 1-minute pieces by 60 composers | Robert Voisey, 60x60 Artistic Director. | Thursday, January 27, 2011 (7:30 p.m.) | Presented by "Sprawl: 15th Birthday!" 360 degrees of 60x60 Video (Sanguine Mix) - a Vox Novus production. | Includes : Six Wings North (Music by Lynn Job) (No. 9/60) (Isaiah 6:6-7) = 60 1-minute pieces by 60 composers. Images by Patrick Liddell. | Robert Voisey, 60x60 Artistic Director. | Thursday, February 10, 2011 (8:00 p.m.) | Presented by William Paterson University of New Jersey - 360 degrees of 60x60 Video (Sanguine Mix) - a Vox Novus production. | Includes : Six Wings North (Music by Lynn Job) (No. 9/60) (Isaiah 6:6-7) = 60 1-minute pieces by 60 composers. Images by Patrick Liddell. | Robert Voisey, 60x60 Artistic Director. 2011 -- emergency fundraising -- view the speech below . . .
| Thursday, March 10, 2011 (8:00 p.m.) | world premiere composer's transcription | Arcangelo Red (rhapsody for solo clarinet) (BMP-80-2) - by Lynn Job - performed by - Demetrius Spaneas in Solo Concert | Other composers include: Beth Anderson, Alexandra Gardner, Carol Alban, Molly Thompson, Denise Broadhurst, Judith Lang Zaimont, Jill Miller-Thorn and Joan Tower. | Spring Dates TBD, 2011 (8:45 a.m.) | World premieres of new men's and women's motet versions arranged by the original composer, selected by composer-in-residence, Carson Cooman: Two Sacred Motets in the style of the 16th Century | I. Sancta immaculata virginitas (2-parts); II. Jesu nostra redemptio (3-parts). interview, performance, & album promo "New Lullaby"
| Sunday, December 12, 2010 (7:30 p.m.) | 60x60 (2010 / International Mix) - a Special Concert Event for the ARCUS Artisti-in-Residency Program Closing Party. First composition from this composer's catalog to play in Japan: Six Wings North (by Lynn Job) (No. 24/60) (Isaiah 6:6-7) = One of 60 1-minute pieces by 60 composers | Robert Voisey, 60x60 Artistic Director. as heard on the CD "New Lullaby"
"This virtuoso's performances showcase the classical guitar's eclecticism and reflection." | Saturday, December 4, 2010 (3:00 p.m.-4:30 p.m.) | CD Showcase -- Aaron Larget-Caplan, solo guitar, live appearance & concert. Presented at Borders Books & Music for May Institute Charity Days | Includes : The Sixth Night by Lynn Job (commissioned by New Lullaby Project), with more by other New Lullaby composers. | Friday, December 3, 2010 (4:00 p.m.-5:00 p.m.) | CD Showcase -- Aaron Larget-Caplan, solo guitar, live appearance & concert. Presented at Borders Books & Music for May Institute Charity Days | Includes : The Sixth Night by Lynn Job (commissioned by New Lullaby Project), with more by other New Lullaby composers. | Friday, December 3, 2010 (12:30 p.m.-2:00 p.m.) | CD Showcase -- Aaron Larget-Caplan, solo guitar, live appearance & concert. Presented at Borders Books & Music for May Institute Charity Days | Includes : The Sixth Night by Lynn Job (commissioned by New Lullaby Project), with more by other New Lullaby composers. | Friday, December 3, 2010 | 2010 360 Degrees of 60x60 (Sanguine Mix) - a Vox Novus production. | Includes : Six Wings North (music by Lynn Job) (No. 9/60) (Isaiah 6:6-7) = 60 1-minute pieces by 60 composers | Robert Voisey, 60x60 Artistic Director. | Thursday, December 2, 2010 (8:00 p.m.) | Presented by Harold Golen Gallery & Foundation for Emerging Technologies and Arts ( FETA ) - 12-Nights -- Electronic Music & Art Concert Series - 360 degrees of 60x60 Video (Sanguine Mix) - a Vox Novus production. | Includes : Six Wings North (Music by Lynn Job) (No. 9/60) (Isaiah 6:6-7) = 60 1-minute pieces by 60 composers. Images by Patrick Liddell. | Robert Voisey, 60x60 Artistic Director. | Sunday, November 28, 2010 (10:30 a.m.) | Music Guest: Aaron Larget-Caplan (solo guitar) -- Aaron Larget-Caplan -- music for liturgical services. 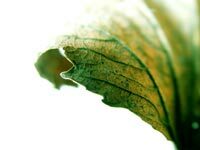 | Includes : The Sixth Night by Lynn Job (commissioned by New Lullaby Project) (Psalm 4:8, and recalling the 6th Night in the Garden of Eden), with more by J.S. Bach, Agust�n Barrios, and Kevin Siegfied. Album = Watch for the tour CD later this year! -- updates at Buckthorn Records. | Sunday, November 7, 2010 (2:00 p.m.) | Presented by (WEAMS) Western Electroacoustic Music Festival & Vox Novus 60x60 ) - VIDEO 360 degrees of 60x60 (Sanguine). | Includes : Six Wings North (music by Lynn Job) (Sanguine Mix No. 9/60) (Isaiah 6:6-7). 1-minute pieces by 60 composers. Images by Dr. Patrick Liddell. | Robert Voisey, 60x60 Artistic Director. | Saturday, November 6, 2010 | Fresno New Music Festival | 2010 360 Degrees of 60x60 (Sanguine Mix) - a Vox Novus production. | Includes : Six Wings North (music by Lynn Job) (No. 9/60) (Isaiah 6:6-7) = 60 1-minute pieces by 60 composers | Robert Voisey, 60x60 Artistic Director. | Monday, November 1, 2010 (3:15 p.m.) | Presented by Dr. Ian Corbett, Department of Music & Vox Novus 60x60 ) - VIDEO 360 degrees of 60x60 (Sanguine). | Includes : Six Wings North (music by Lynn Job) (Sanguine Mix No. 9/60) (Isaiah 6:6-7). 1-minute pieces by 60 composers. 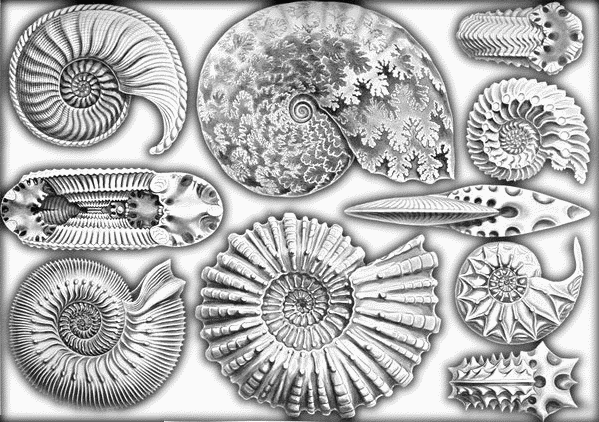 Images by Dr. Patrick Liddell. | Robert Voisey, 60x60 Artistic Director. | Wednesday, October 20, 2010 (9:00 p.m.-1:00 a.m.) | Presented by Rodan Video Lounge & Vox Novus 60x60 ) - 360 degrees of 60x60 Video (Magenta, Sanguine & Scarlet Mixes) & Unweave Mix. | Includes : Six Wings North (music by Lynn Job) (Sanguine Mix No. 9/60) (Isaiah 6:6-7). 1-minute pieces by 240 composers. Images by Patrick Liddell. | Robert Voisey, 60x60 Artistic Director. | Thursday-Saturday, October 14-16, 2010 | Presented by EMM, Lewis University, & 2010 ICMA - Six 360 degrees of 60x60 Video Installations (Burgundy, Crimson, Magenta, Sanguine, Scarlet, and Vermilion) - a Vox Novus production. | Includes : Six Wings North (Music by Lynn Job) (Sanguine Mix, No. 9/60) (Isaiah 6:6-7) = 1 of 60 1-minute pieces by 60 composers. Images by Patrick Liddell. | Robert Voisey, 60x60 Artistic Director. | Friday, October 8, 2010 (7:00 p.m.) | New Lullabies and Dances - for solo guitar -- Aaron Larget-Caplan in a live appearance presented at Borders Books & Music Caf�. | Includes : The Sixth Night by Lynn Job (commissioned by New Lullaby Project), with more by Kevin Siegfried, Jonathan Feist, Francine Trester, David Vayo, Eric Schwartz, John McDonald, Scott Wheeler, Leo Brower, and Agust�n Barrios! | Sunday, October 3, 2010 (7:30 p.m.) | 60x60 DANCE (2010 / International Mix) - a Vox Novus production presented by HEARDing cats at the American Arts Experience and seen on HEC-TV's State of the Arts Live | Includes : Six Wings North (music by Lynn Job | choreography by Jessica E. Stack, pres. Missouri Dance Organization) (No. 24/60) (Isaiah 6:6-7) = 1 of 60 1-minute pieces by 60 composers | Robert Voisey, 60x60 Artistic Director. 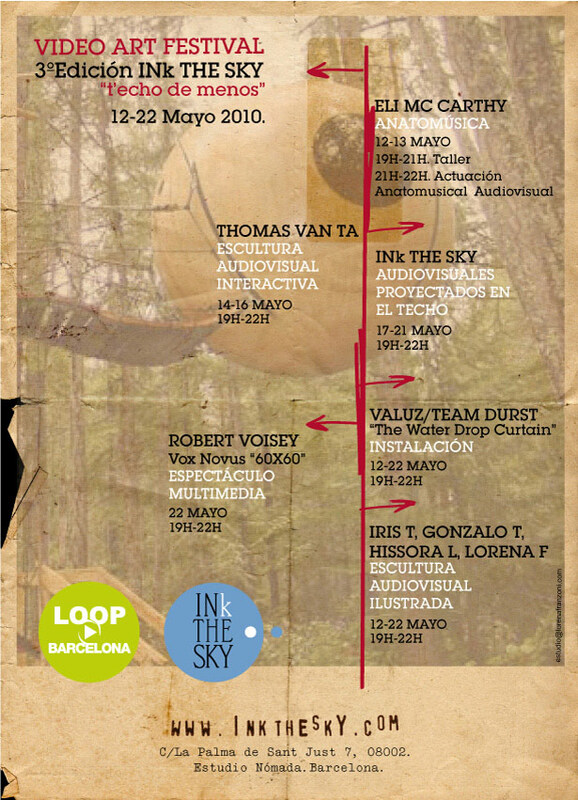 | Thursday, September 30, 2010 (8:00 p.m.) | 60x60 (2010 / International Mix) - a Vox Novus production. Includes: Six Wings North (by Lynn Job) (No. 24/60) (Isaiah 6:6-7) = 1 of 60 1-minute pieces by 60 composers | Robert Voisey, 60x60 Artistic Director. | Saturday, September 25, 2010 (1:00 p.m. & 2:00 p.m.) | New Lullabies for Solo Guitar -- Aaron Larget-Caplan in recital. | Includes : The Sixth Night by Lynn Job (commissioned by New Lullaby Project), with more by Eric Schwartz, Jonathan Feist, Scott Wheeler, John McDonald and also Augustin Barrios! | Thursday, September 23, 2010 | 2010 360 Degrees of 60x60 (Sanguine Mix) - a Vox Novus production. | Includes : Six Wings North (music by Lynn Job) (No. 9/60) (Isaiah 6:6-7) = 60 1-minute pieces by 60 composers | Robert Voisey, 60x60 Artistic Director. | Friday, August 6, 2010 | 2010 360 Degrees of 60x60 (Sanguine Mix) - a Vox Novus production. | Includes : Six Wings North (music by Lynn Job) (No. 9/60) (Isaiah 6:6-7) = 60 1-minute pieces by 60 composers | Robert Voisey, 60x60 Artistic Director. towards the Olympic & Paralympic Games 2012. | Saturday, July 24, 2010 (3:00 p.m. & 8:00 p.m.) | for -- Open Weekend, CREATE, and Big Dance: East London Dance and Vox Novus present 60x60 DANCE (2010 / International Mix) | Includes : Six Wings North (music by Lynn Job, dance/choreography by Mickel Smithen, Amici Dance) (No. 24/60) (Isaiah 6:6-7) = 60 1-minute pieces by 60 composers with 60 choreographer/dancer teams | Robert Voisey, 60x60 Artistic Director | with Dance Co-ordinator Adriana Pegorer and Producer Silke Arnold. | Wednesday, July 21, 2010 (10:30 p.m.) | Voix de la M�diterran�e presents special evening music 2010 360 Degrees of 60x60 (Sanguine Mix) - a Vox Novus production. | Includes : Six Wings North (music by Lynn Job) (No. 9/60) (Isaiah 6:6-7) = 1 of 60 1-minute pieces by 60 composers | Robert Voisey, 60x60 Artistic Director. | Tuesday, July 20, 2010 (8:00 p.m.) | Presented by THE AMBiENT PiNG - 2010 60x60 (Sanguine Mix) - a Vox Novus production. | Includes : Six Wings North (Music by Lynn Job) (No. 9/60) (Isaiah 6:6-7) = 60 1-minute pieces by 60 composers. 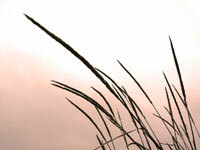 New images debuting by Patrick Liddell. | Robert Voisey, 60x60 Artistic Director. | Each Saturday, July 10 - September 18, 2010 (5:00 p.m.) | Galerie Teo Libardo presents exhibit "Atelier Rouge Aub�pine" (Hawthorn Red) with music 2010 360 Degrees of 60x60 (Sanguine Mix) - a Vox Novus production. | Includes : Six Wings North (music by Lynn Job) (No. 9/60) (Isaiah 6:6-7) = 1 of 60 1-minute pieces by 60 composers | Robert Voisey, 60x60 Artistic Director. with opening remarks at 7:00 p.m.
| Tuesday, June 29, 2010 (7:30 p.m.) | Presented by New Life Church Denton - 60x60 2010 (Sanguine Mix) - a Vox Novus licensed production sponsored in part by International Computer Music Association & Buckthorn Studios. | Includes : Six Wings North (by the concert moderator) (No. 9/60) (Isaiah 6:6-7). Event Theme = 60 biographies, 60 pieces, 60 prayers | Robert Voisey, 60x60 Artistic Director. 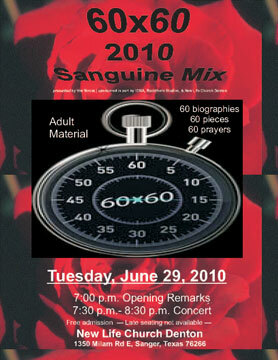 | Thursday, June 17, 2010 (1:00 p.m.) | 2010 360 Degrees of 60x60 (Sanguine Mix) - a Vox Novus production. | Includes : Six Wings North (music by Lynn Job) (No. 9/60) (Isaiah 6:6-7) = 60 1-minute pieces by 60 composers | Robert Voisey, 60x60 Artistic Director. 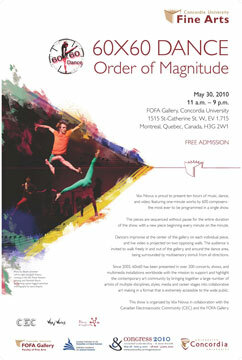 | Sunday, May 30, 2010 (11:00 a.m. - 9:00 p.m.) | 2010 60x60 DANCE Canada Congress - a Vox Novus Collaboration -- live dance, video, & electronic sound installation. | Includes : Malachi-Messenger (Music by Lynn Job) (No. 23 of 2009 60x60 International Mix // No. 143 of "2010 60x60 Dance Order of Magnitude--600 Composer Mix") 60 1-minute pieces by 60 composers x 10 | 10 hours, 19 dancers, 600 composers, Robert Voisey, 60x60 Artistic Director. With Eldad Tsabary (Director of Sound) with James Finnerty (Audio Tech) / St�phanie Bernard (Dance) / Mike Plante (Live Video Projections), DANCERS (coordinated by St�phanie Bernard): Chantal Vanasse, Cliona De Bri, St�phanie Bernard, Ariane Boulet, St�phanie Roux, Andr�e-Anne Ratth�e, Lily Lapierre, Anouk Th�riault, Sophia Bensaid, James Kendall, Mariane L�ger, Erica Bridgeman, Zita Nyarady, Isabelle Dionne, Catherine Larocque, Jessica Viau, Marie-Adeline Choquet, Charles-Smith M�tellus, Robin Bell-Scott. And . . .
| Saturday, May 22, 2010 (5:20 p.m., Stage A) | * World Premiere * 2010 60x60 DANCE (Sanguine Mix) - a Vox Novus Collaboration -- live dance & 60-piece audio track. | Includes : Six Wings North (Music by Lynn Job) (Isaiah 6:6-7) (No. 9/60 of 2010 ICMC 360 Degrees of 60x60 (Sanguine Mix) = 60 1-minute pieces by 60 composers | Robert Voisey, 60x60 Artistic Director, with Erin Bomboy, Dance Director. | Friday, March 19, 2010 (7:30 p.m.) | 60x60 Video (2009 International) - a Vox Novus production | Includes : Malachi-Messenger (by Lynn Job (No. 23) 60 1-minute pieces by 60 composers, Robert Voisey, Artistic Director | images by Patrick Liddell | Presented on eArts by Rob Voisey, live! 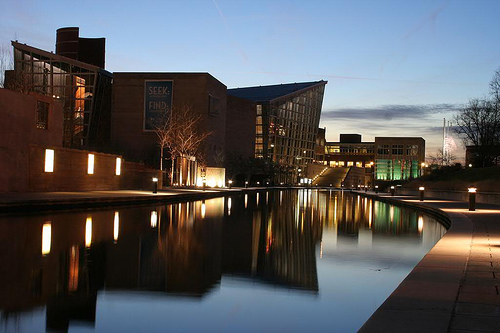 © photo Oxford Brookes University. | Friday, February 26, 2010 (5:00 p.m.) | 60x60 VIDEO - a Vox Novus film collaboration. | Includes : Malachi-Messenger (Music by Lynn Job) (No. 23) 60 1-minute pieces by 60 composers, Robert Voisey, Artistic Director, and Patrick Liddell, Director of Film. 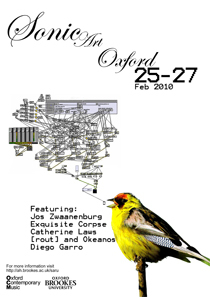 Sonic Art Oxford is presented by The Sonic Art Research Unit | = 60 1-min. pieces = "2009 60x60 (International Mix)"
WKCR - FM 89.9 (New York, NY) | "Afternoon New Music" - April 1, 2009. WKCR - FM 89.9 (New York, NY) | "Art Waves" - (Anne Cammon) - June 5, 2009. WMUA - FM 91.1 (Amherst University, Mass.) | "Martian Gardens" - August 16, 2009. WMUA - FM 91.1 (Amherst University, Mass.) | "Martian Gardens" - August 23, 2009. WMUA - FM 91.1 (Amherst University, Mass.) | "Martian Gardens" - November 1, 2009. NOTATIONS 21: Breaking the Boundaries | -- Hutchins Gallery Exhibit | Long Island University, Brookville, New York. 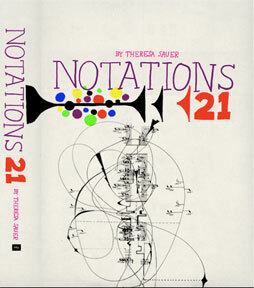 celebrating the "Notations 21 - an anthology of innovative musical notation" (New York: Mark Batty Publisher, Theresa Sauer, 2008). - Gallery exhibit of several of the original 168 graphic scores represented in the anthology [not displayed, p. 113 "Anchored in Perath: an apocalypse" (solo organ) by Job]. 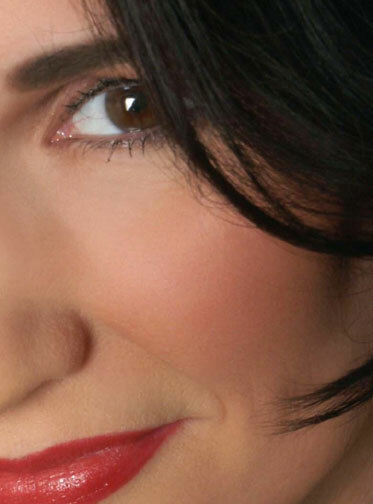 ViolaByChoice & Audio Inversions COLORS: Hues Heard, Sounds Seen - musical works inspired by colors - | transcription world premiere, Solo Violist Martha Carapetyan & painting by Jan Middleton Roset | St. David's Episcopal Church. 60x60 Evolution II - | 2009 NACUSA-Texas Annual Conference with the International Society of Contemporary Music | Stephen F. Austin State University. 60x60 DANCE | (Music by Lynn Job / Choreography by Veronica Carnero) (No. 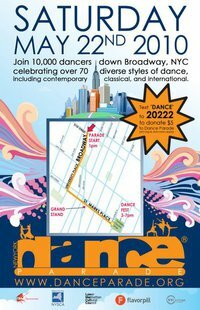 54) Robert Voisey, Artistic Director, Jeramy Zimmerman, Director of Dance | Galapagos Art Space. End of TOUR: New Music from Texas and New York - works by (LICA) Long Island Composers Alliance & (NACUSA-Texas) National Association of Composers USA, performed by NAXOS artist Christopher Oldfather | Tarrant County Community College. Morning Prayers Service | music by Lynn Job: Kyrie eleison (SATB, 2009, world premiere by The Harvard Choral Fellows); & " Iron Horse Nocturne: of salt & grapes . . . "(organ solo). | Cambridge, Mass. The composer attended, conducted by Carson Cooman. | Appleton Chapel, Memorial Church, Harvard University. The Sixth Night | Cambridge, Mass. 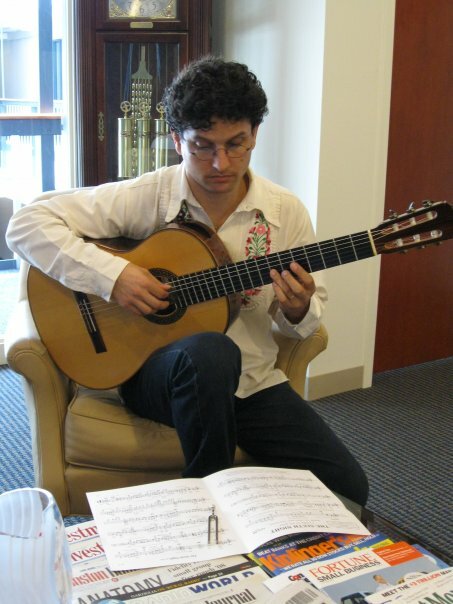 World premiere, commissioning guitarist Aaron Larget-Caplan in Recital. The New Lullaby Project on tour, composer attending | Pussey Room, Memorial Church, Harvard University. Dance, Sleep, Bach: Exotic Dances & New Lullabies for Solo Guitar-- Aaron Larget-Caplan in Recital. The New Lullaby Project on tour, composer attending | Studio 99. 2009 60x60 DANCE - a Vox Novus live dance collaboration, (No. 23, Lynn Job, music & Amiti Perry, Dir. of Dance) | Wallstreet Night Club. 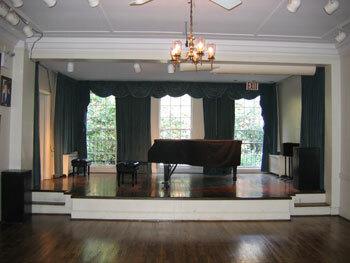 The New Lullaby Project on tour | The Loring-Greenough House. 60x60 (2009 International) - a Vox Novus production (No. 23) 60 1-minute pieces by 60 composers, Robert Voisey, Artistic Director | University of Limerick. The 3rd Annual Kentucky New Music Festival (Oct 19-26, 2009), The University of Kentucky School of Music & The Central Kentucky Student Chapter/Society of Composers International: 60x60 (2009 International) - a Vox Novus production (No. 23) 60 1-minute pieces by 60 composers, Robert Voisey, Artistic Director | Niles Gallery, Lucille Little Fine Arts Library | University of Kentucky. 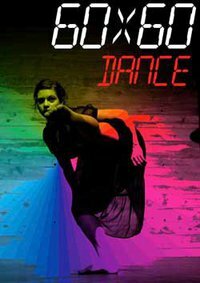 2009 60x60 DANCE (festival CONCERT No. 5) - a Vox Novus live dance collaboration, (No. 23, Lynn Job, music & Amiti Perry, Dir. of Dance) Electronic Midwest Music Festival (EMM) (Nov. 5-7, 2009) | Kansas City Kansas Community College. 2009 60x60 DANCE - a Vox Novus live dance collaboration (No. 23, Music by Lynn Job / Choreography by Rebekah Wessels) 60 1-minute pieces by 60 composers + 60 choreographers, Robert Voisey, Artistic Director, Amiti Perry, Director of Dance | Mad Art Gallery. 2009 60x60 DANCE - a Vox Novus live dance collaboration (No. 23, Music by Lynn Job / Choreography by 60x60 Dance) - 60 1-minute pieces by 60 composers + 60 choreographers, Robert Voisey, Artistic Director, Amiti Perry, Director of Dance | World Financial Center - Winter Garden Atrium. 2009 60x60 VIDEO - a Vox Novus film collaboration. Presented as Concert IV - Electro-acoustic Juke Joint (Music by Lynn Job) (No. 23) 60 1-minute pieces by 60 composers, Robert Voisey, Artistic Director, and Patrick Liddell, Director of Film | The Bologna Performing Arts Center, Delta State University. 60x60 (2009 International) - a Vox Novus production | (No. 23) 60 1-minute pieces by 60 composers, Robert Voisey, Artistic Director | Chamichian Hall, Central Michigan University. 2009 60x60 VIDEO - a Vox Novus film collaboration | (No. 23) 60 1-minute pieces by 60 composers, Robert Voisey, Artistic Director, and Patrick Liddell, Director of Film | Stimultania Art Galery. 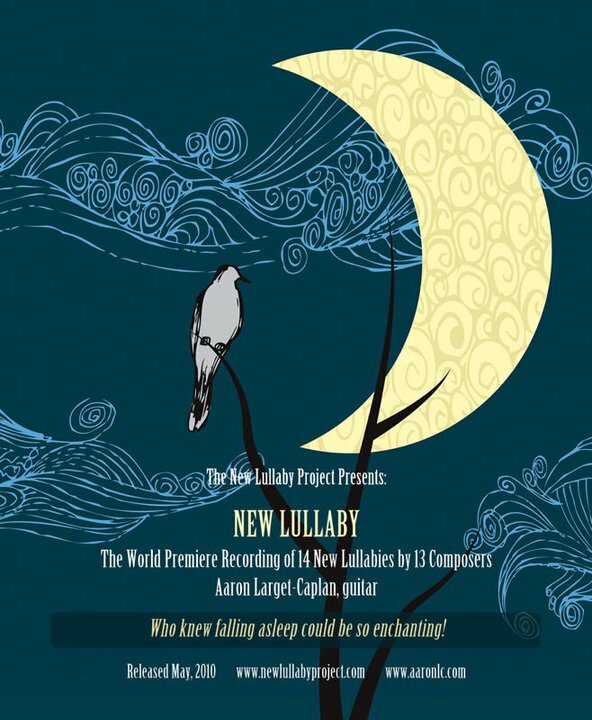 The New Lullaby Project on tour | Meeting House at First Parish Church of Cohasset. Electric La-Tex 2009 Conference - featuring - 60x60 (2009 International) - a Vox Novus production (No. 23) 60 1-minute pieces by 60 composers, Robert Voisey, Artistic Director | Fallout Theatre, Texas A&M University. 60x60 (2009 International) - a Vox Novus production - sponsored by OUTSOUND Presents on The LSG New Music Series (No. 23) 60 1-minute pieces by 60 composers, Robert Voisey, Artistic Director | Luggage Store Gallery. 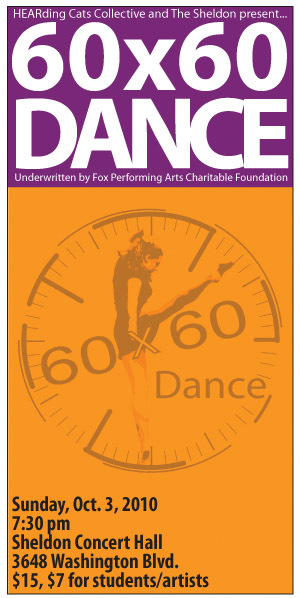 PACE Program featuring 60x60 (2009 International) - a Vox Novus production (No. 23) 60 1-minute pieces by 60 composers, Robert Voisey, Artistic Director | Log Angeles Harbor College. 2009 60x60 VIDEO - a Vox Novus film collaboration (No. 23). 60 1-minute pieces by 60 composers, Robert Voisey, Artistic Director, and Patrick Liddell, Director of Film. Presented this date by Alan Schockley | University Art Museum, Horn Center (West Entrance) | California State University Long Beach. © Copyright 2010 Buckthorn Studios (SM). All rights reserved.